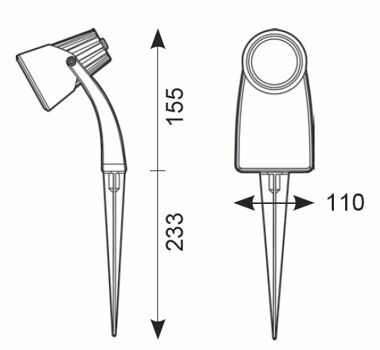 Dual purpose garden spotlight supplied with wall mounting bracket and spike. Manufactured from 100% recyclable materials. Pre-wired with 2 metres of rubber insulated cable. Suitable for GU10 LED lamps only as detailed.